34.0374° S, 18.6769° E lies dormant Cape town’s best kept secret, a jewel unbeknown to the world. A vibrant community in the outskirts of Cape Town covered by mountains from every direction. Similar to gold this township was forged under harsh conditions and yet the end product has a potential of becoming a thing of beauty, though this township is still undergoing a refining process but one can foresee the townships forth coming majesty. For the longest time Khayelitsha has taken a lot of bashing from the main stream media which seemed to be highly infatuated by its short comings and exerting less attention on the positives that exist in this township which somehow derailed development and heightened resentment because of the negative outlook the dominant narrative exudes. This negative outlook has been inherited by both the media and the people from the architects of such spaces during the time of apartheid. The thought process behind the design of these spaces was such that nothing of positivity would ever emanate from them. Against the odds Khayelitsha has managed to grow and find a positive image of self, amidst the negative narrative . Khayelitsha has mastered the art of swimming against the tide hence the gradual improvement even though no one expected it. Today this hidden jewel is rapidly being marveled by the rest of the globe, Khayelitsha township tour has been a revolutionary economic driver for this township. 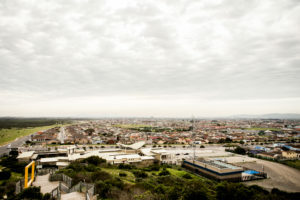 Many disputed the notion of placing Khayelitsha as a potent role player in township tourism because of the townships history and notorious criminal activities. It seems like it’s the historicity of this place that has led to this revolutionary change in trajectory, for it gave birth to a mindset that seeks to improve, develop, Innovate and change perspective. The fast changing global view of tourism and open mindedness has led people to move away from what the dominant main stream media purports. People from across the globe want to go and experience places, immerse themselves in the communities and be one with the people. 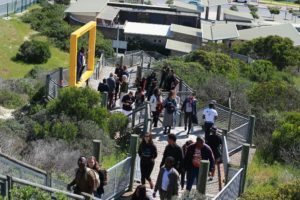 Khayelitsha has benefited immensely from this sudden change in interests and it this evident in the number of new immerging businesses that seem to be solely dependent on the tourism industry to survive. People are coming in their great numbers, and this is just a start it seems and there is light at the end of the tunnel for Khayelitsha. As an indication of the potency of the tourism in industry in growing and developing small businesses 18gangster Museum has been able to amass over 7000 visitors from different countries in a relatively short period making it khayelitsha’s top attraction. 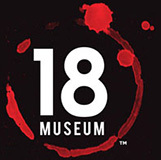 18 Gangster Museum is the key role player in bringing people to the township, it has now ventured in offering township tours which stimulated a lot of interest from the globe. This innovative museum is built in a shipping container, it tackling one of the most intriguing subject matters in the modern day world which is gangsterism. It aims to educate young people about the implications of joining gangs, provide them with an alternative route as to which direction to take.  They seek to inculcate a culture of being responsible for the development of the township amongst the youth. But this museum is survives because of the large pool of visitors from abroad that visit the museum or partake in one of the tour experience the museum offers. It seems like the rest of the world in not hell bent on perpetuating the negativity of the but rather want to learn as to how people have been able to survive, produce creative ideas and change their situations. 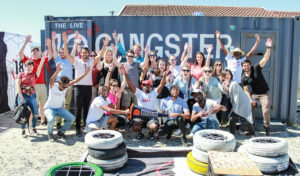 People want to be part of the change, they want to lend a hand in improving the lives of others while learning and 18gangster museum has been able to provide this. Tourism as a key economic driver has given birth to new creative businesses that has made khayelitsha’s product offering unsurpassed by any other township in Cape town. Today Khayelitsha is home to a one of a kind museum, a monumental hill top, coffee shops, boutique shops, craft markets, guests house , night clubs to mention just a few making it leader in township tourism. To preserve this potent economic driver people from Khayelitsha must work together in improving the condition of the township. Prior, concerns were centered around safety but that seems to be fast improving but there needs to be more emphasis with regards to this area. World class service needs to be a common feature, cleanliness and professionalism so that Khayelitsha won’t be that place in the periphery that people visit out pity but a place that people relish. This vibrant township is the leading the race when it comes to tourism hence the rapid growth In the sector, tourism is known to be one of the major labour absorptive industries in south Africa, in a country that is fast losing employment opportunities it is a plausible quest to preserve and grow tourism as it provides people with infinite opportunities. Tourism in these parts means development it means growth, it means service to humanity. Khayelitsha township tour is truly an experience that one should include as part of the things to do when coming to South Africa. It is an authentic experience that one cannot find in other part of the world. Visit www.18gm.co.za for more insights. 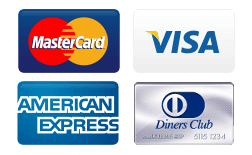 Signup to receive our latest news and events.